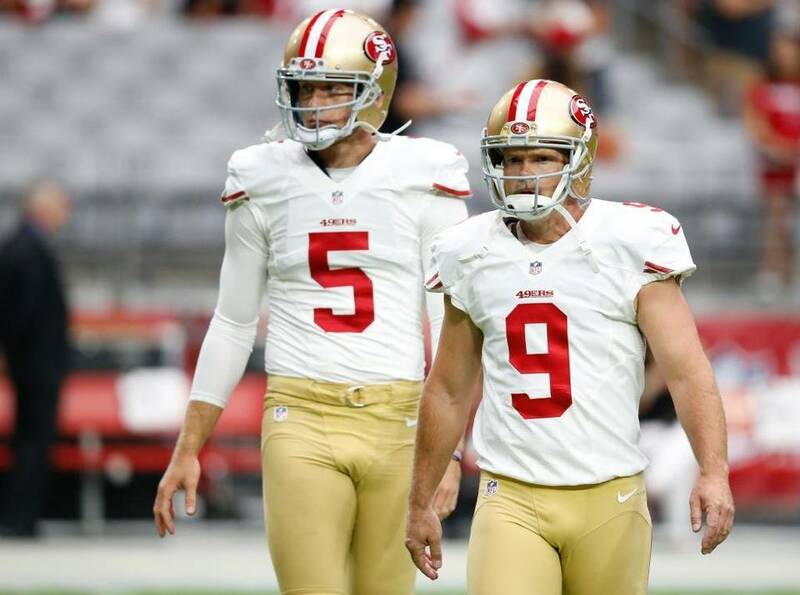 Veteran Phil Dawson has made 16 of 17 field-goal attempts, including a long of 54 yards. He’s also one of just 12 kickers who have made all their extra-point attempts. Phil Dawson said he hasn’t spoken with the 49ers about extending his contract and that any decision about next season would have to be agreed upon by his family. But the 40-year-old kicker knows this: He definitely has another year – or more – left in his right leg. He’s also still very good at it. Dawson has made 16 of 17 field-goal attempts, including a long of 54 yards. His lone miss was in Week 1 when a defender shot through the 49ers’ line and blocked the attempt. He’s also made all of his extra-point attempts, which used to be a meaningless statistic but is more notable this year after it was moved back to the 15-yard line. Only 12 kickers have made all their point-after-touchdown attempts this year; last year 26 kickers made all of their tries. Dawson leads the team in scoring with 59 points, 42 percent of the 49ers’ NFL-low 139 points. To put that in perspective, when former 49ers kicker Joe Nedney was the team’s offensive MVP in 2005, he accounted for 40.5 percent of the team’s points. The next-worst team in scoring, the Rams, have 179 points. The Cardinals, who play the 49ers on Sunday at Levi’s Stadium, lead the league with 336 points. Dawson said plenty of kickers compete into their 40s. The Colts’ Adam Vinatieri, 42, and the Falcons’ Matt Bryant, 40, are two active examples. And he said he wouldn’t let age be a factor. When he reached his 30s, he had been in the league eight seasons and he started to believe the chatter that his body would start breaking down around the 10-year mark. As a result, he felt older. But at some point Dawson decided his mid-30s malaise was in his mind, and he’s been on a roll since. After finishing with a career-low field-goal percentage of 72.4 percent for the Cleveland Browns in 2006, Dawson has finished at 80 percent or higher every year. This year’s 94.1 percent would be a career best, although the 49ers still have bad-weather games in Chicago and Cleveland. Another reason to think he can keep kicking at age 41 – his birthday is in January – is that 21-year-old punter Bradly Pinion has taken over kickoffs. Dawson said he wishes he still handled kickoffs because he wants to be involved as much as possible. But he understands why Pinion has the job. More than 78 percent of the rookie’s kickoffs have ended up as touchbacks.